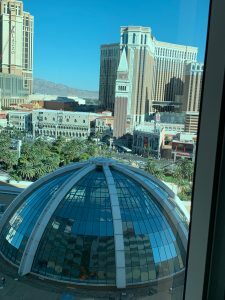 What Happens in Vegas, Is Right Here on My Blog - Hypothetically Speaking . . . Hypothetically Speaking . . . 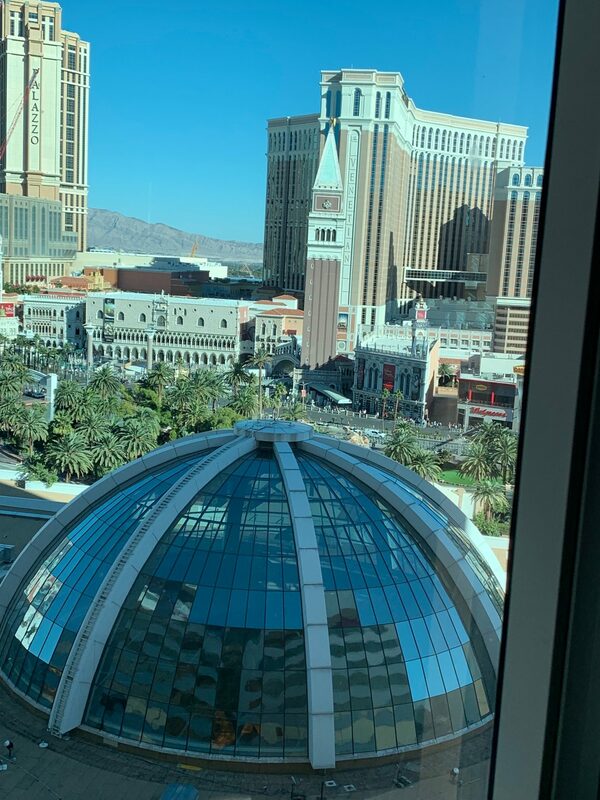 In case you missed my recent press releases or my surprise appearance on Dr. Phil last week, you are probably unaware that I just returned home from Las Vegas a few days ago. The trip was a real learning experience for me. Apparently, my mom had heard about all the drinking and sinning that allegedly goes on there from her church friends, Bertha and Myrtle, so she was up in arms about my visit the whole time I was there. Now, I’ve never been one to gossip unless it’s for a good cause, but although they love to shake their heads and wag their fingers at other people, both Bertha and Myrtle somehow manage to fly to Vegas three or four times a year themselves. As a matter of fact, I ran into a shirtless Chippendales dancer on the Strip and he immediately asked if I knew Bertha and if she still had that lower back tattoo. Well, I ain’t one to tell people’s business, so you certainly ain’t heard it from me, but the answer is yes. Anyway, because of Bertha and Myrtle’s feedback, my plane had barely landed before my mom started calling every two seconds to make sure I was making “good decisions.” She informed me that if any YouTube footage of me passed out in a ditch leaked—again, she would be forced to disown me—again. Sadly, despite my best efforts, there actually is new footage of me passed out circulating the internet, but not for the reasons you would think. The moment I hit the Las Vegas Strip, my status as a full-fledge grandma kicked in and I went to sleep anywhere I could: on park benches, in line for dinner, and in the fountain at the Bellagio. While other people’s nights were just getting started at 11 PM, I, myself, had already been asleep for at least six hours by then. When I wasn’t laid out in a bush due to exhaustion, I certainly passed out a few times based on food prices. Whether I needed only a pack of gum or a buffet dinner, the cost seemed to be no less than $200. I tried to negotiate, but if I wanted fresh breath, the lowest I could get the salesperson down to was $183. If you plan to go to Vegas, govern yourselves accordingly. Take out cash, a credit card, and a bank loan when you arrive. Now, before you start judging me for sleeping through my Vegas trip, it’s not exactly my fault. First of all, my body never quite adjusted to the time change from Eastern to Pacific, so I woke up at 3 AM every single morning and couldn’t go back to sleep. I tossed and turned and did math equations for hours until it was time to head out for the day. Second, I was in a low-key mood for most of the trip. The wildest thing I did the whole time was to have two Starbucks drinks in a single day. Oh, and there was that time I went wild and drank a Pepsi within an hour of drinking a Coke. If that doesn’t meet your definition of a party animal, I don’t know what does. For most of the visit, I was content just looking at all the lights and activities from the comfort of my hotel room. 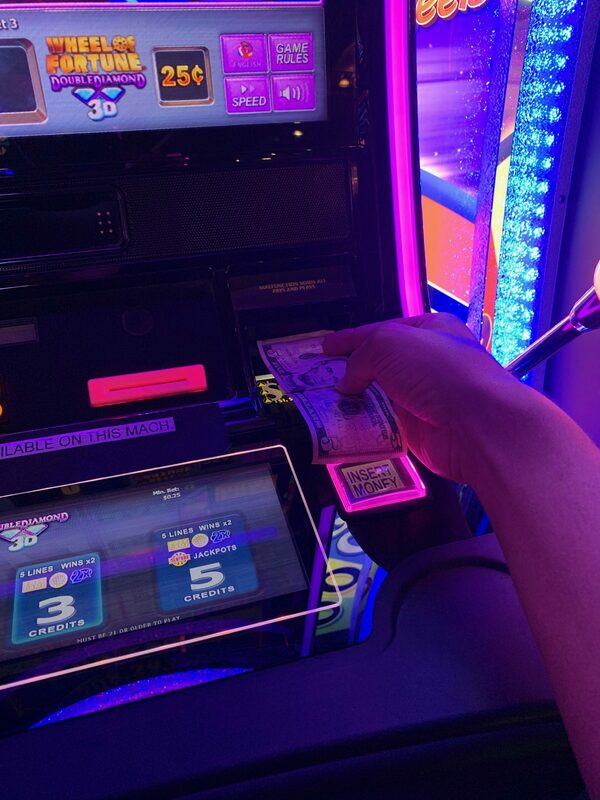 However, when the gambling mood hit, I did put $20 into a slot machine that I thought was lucky based on the vibes it was sending me from across the room. When I walked by, it literally said, “Michael, come play me. I can change your life.” 15 seconds later when I’d lost my $20, my life had definitely been changed; I went from being kind of OK to being downright depressed just that quick. Making bad decisions here. Don’t tell my mama. 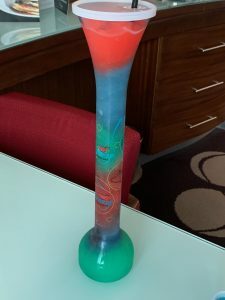 And if I’m being completely honest, I did have a drink or two during my stay in Vegas. However, because I was going to bed so early each night, that meant I had to start drinking a little sooner than what some would consider normal. Now, I don’t want people to think that I have some sort of problem or to call my parole officer or anything, but I found 9 AM to be around about the right time to crack open the vodka with a gin chaser. Completely acceptable. I mean, it’s Vegas. Actually, the drinking is really not my fault. After the plane landed and I was finding my way to the luggage area, I went down an escalator to find a sign that showed baggage claim in one direction and the liquor store in the other. I mean, if those are your only two choices and in you’re in Vegas, any normal person would hit the liquor store first and worry about the luggage later. And if by chance your luggage went missing, the liquor would help with that. See, I’ve thought it through. Making things even more interesting, the store was called the Liquor Library. I immediately made the connection of me being a writer to their being a library and knew it was a sign that I just had to investigate the premises. After all, I have always loved a library. Surprisingly, there were no books inside, but there was a lot of liquor, which was fine with me. Don’t judge me and please don’t tell my mom. I only bought it because it was pretty, not to drink it! Instead of looking for shows or a club to attend, like a true grandma, I spent most of my time looking up food options. In case you don’t know, one of the things Vegas is known for is its buffets. I spent hours on Yelp comparing the options. It wasn’t long before all that planning went right out the window when I found a buffet that had all-you-can-drink wine and beer. Just like that, no longer did I care whether the buffet offered a one-star or a five-star menu. Instead, the all-you-can-drink offering had me at hello. I arrived at the buffet excited because I knew what was about to go down. I was going to eat as if my life depended on it. Though I am usually a hamburger and hot dog sort of guy, I decided to broaden my horizons just this once. After all, I was in Vegas. The least I could do was add a little lettuce and a carrot or two to my diet for crying out loud. Allegedly, you only live once. As the hostess walked me over to my table, she looked at me with an expression of great concern. Her head tilted to the side as she asked, “Are you alone? You don’t have any friends?” People can be so mean. I took a moment to think before I answered. I wasn’t exactly sure if being alone at a buffet was grounds for being kicked out, but I wasn’t taking any chances, at least not before I ate. Proudly, I hung my head high and said, “Friends? Oh, they’re on their way. They will be here any minute. You know Bertha and Myrtle, right?” She did. After dodging that moment of judgement and being seated, I grabbed four plates and made my way to the buffet. Let me be the first to tell you that the food was well worth it. They had a little of everything: Asian food, Mexican dishes, pasta, pizza, barbecued pork chops, salad, seafood, desserts, and more. If I didn’t have a tank full of fish waiting for me back at home, I would have just stayed in Vegas and lived at the buffet for the rest of my life. 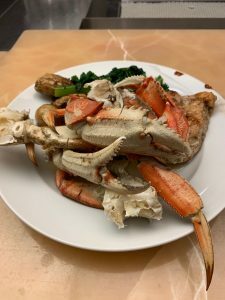 For some reason, although I usually avoid crab legs because of the many battles I’ve lost trying to crack them open, I found myself putting several on a plate. As I dipped a claw in butter, I began to have sad thoughts. I wondered just how many crabs had to die for me to have that one claw. My guess was 40. It was pretty disturbing. All is not lost, though. Because my shrink says I need to start thinking positive, I decided in my mind that maybe 40 crabs hadn’t died at all for me to have that one claw. Maybe the claw had been lost due to natural causes. Or, maybe it was grown on a claw farm where no crabs are harmed in the making of dinner. The thought certainly made me feel better as I ate 10 more legs respectfully. No crabs were hurt in the making of this photo, I promise. After stuffing myself as if I was storing up for the winter, I made my way over to the Venetian Hotel. 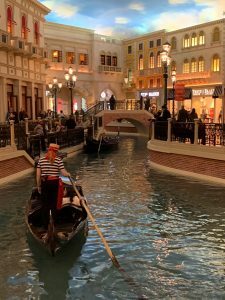 For years I’d heard about the gondola rides offered at the hotel and I had to see them with my own eyes. As I walked in and saw gondoliers navigating the canals and singing love songs to their passengers, I got excited. It looked as though it was meant for Michael. What a romantic experience for me and myself! As I stood there in line thinking of the songs I’d want my gondolier to serenade me with, reality kicked in. I saw no one else riding alone. How would I look hugging myself longingly as my gondolier sang “Drop It Like It’s Hot” as we navigated the Grand Canal? In the end, it wasn’t the riding alone thing that made me opt not to do it. It was the $116 charge for a single rider that made me change my mind. By that point, all I had left was about $5 in food stamps on me. The gondola ride just wasn’t meant to be. Maybe next time. But at least I’ll have more time to think about song choices. Perhaps, “Thank U, Next” or “Single Ladies.” Don’t worry, I’ll figure it out. Gondola ride for one, please! All that aside, for what it’s worth, I can say I thoroughly enjoyed myself in Vegas. I made the experience my own and I’m pretty satisfied with it. I didn’t lose my car or my dad in a game of poker or roulette like I did last year. And as tempting as it was, I didn’t audition to be in the Australia’s Thunder from Down Under strip show or to be a Hooter’s girl. I’m absolutely OK with it. After all, there is always next year! Gives me more time to work on my abs. You made Vegas come to life. Several years traveling to Vegas as a flight attendant since retirement in more years than I can count, you’ve broadened my dimension. 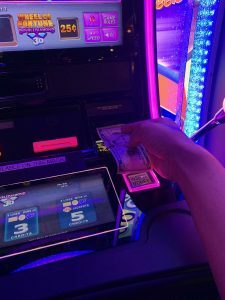 One thing I see from your blog the food is still plentiful and the drinks still flow in abundance, and the slot machines still thrust for money! Requesting the gondolier to sing “Drop it like it’s hot”….HILARIOUS!! This was a really entertaining read. I’m glad you had a great trip! Thanks for the feedback. I did have a wonderful time. Since I’ve been back, all I’ve been doing is looking up the prices for a return trip. I didn’t write this in the post, but I drove to LA when I left Vegas, and I actually had more fun there doing nerdy stuff like studio backlot tours. I loved the whole experience. Thanks for reading and commenting. I appreciate you!